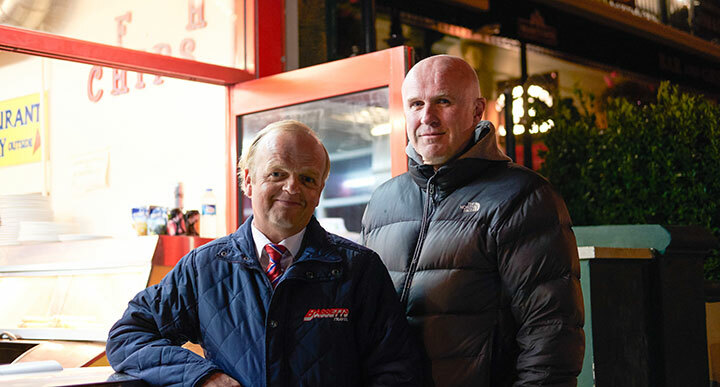 Award-winning playwright Tim Crouch has teamed up with actor and longtime friend Toby Jones to write Don’t Forget the Driver, a dark comedy-drama starring Jones as a coach driver whose mundane life is thrown into chaos. 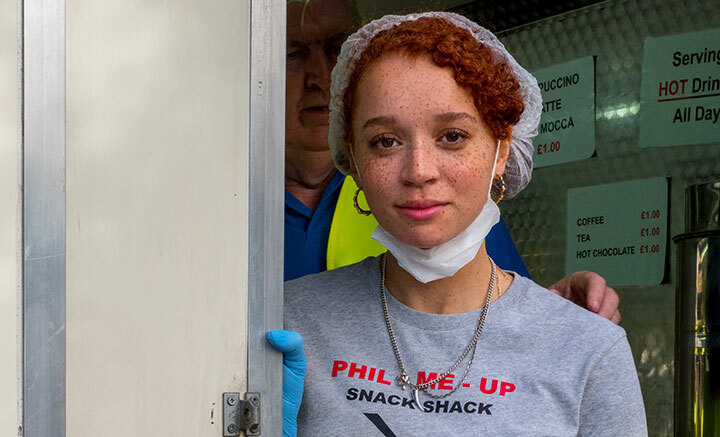 While the future of the traditional British booze cruise – day trips from Dover to Calais in France to pick up alcohol and cigarettes – may be uncertain as Brexit negotiations continue, it’s a trip across the English Channel that provides the narrative spark for dark comedy-drama Don’t Forget the Driver. 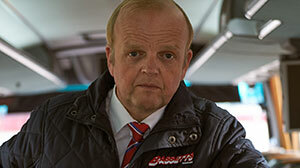 Toby Jones (Detectorists, Marvellous) plays Peter Green, a single father and a coach driver struggling to find meaning in life while coping with his disaffected daughter Kayla and caring for his mum Audrey. Yet the discovery of a dead body on the beach at Bognor Regis in episode one, coupled with finding a stowaway onboard his coach as he returns from a Calais trip in episode one, spins Peter’s world out of control. The six-part BBC2 series comes from producer Sister Pictures (Chernobyl, The Split) and distributor BBC Studios. Crouch created and co-wrote the series with longtime friend Jones, marking the award-winning playwright’s first TV project. “I think I’ve had a lucky, charmed journey into it. The idea has been around with me for a while and then with Toby, but I’ve known colleagues who’ve been knocking on the door of TV for a long, long time so I feel pretty charmed by the experience,” Crouch says. 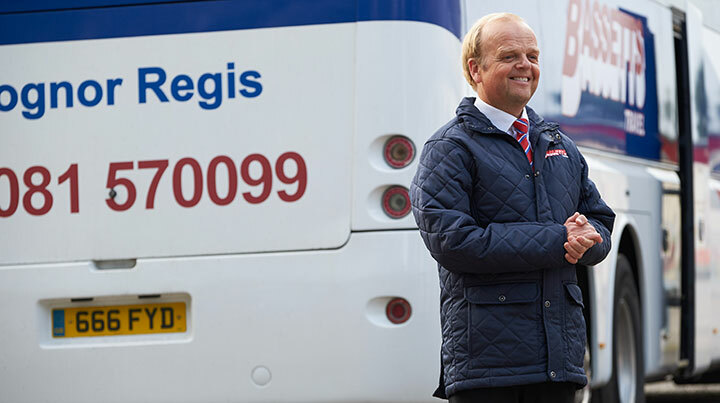 Living in Brighton, a stone’s throw from Bognor on England’s south coast, he had been thinking of a story involving coach drivers for several years, having watched them pick up and drop off passengers in the popular tourist city. “You see them just hanging out, cleaning their vehicles, reading the papers. I always got imaginatively involved in their lives and it started to develop,” he says. Crouch then took some coach trips himself, purely in the name of research, visiting a donkey sanctuary and Dover Castle as well as heading to France, taking notes of his experiences and observations. The subject then arose in a meeting with Sister Pictures exec producer Naomi De Pear, before Jones joined the project. The writing process saw Crouch sitting in front of a laptop while Jones “strode around the room and improvised.” They would discuss characters and storylines through a shared humour and a sense of Englishness – something that would come to define a drama in which the main character is looking for a sense of identity at a time when the UK is questioning its place in the world. However, it’s purely coincidence that a series four years in the making is coming to air when the country is in the grip of uncertainty surrounding its exit from the European Union. Appearing alongside coach driver Peter are a band of regular characters, including Peter’s identical twin from Australia, also played by Jones. The actor was always in line to play the lead character, and even learned to drive a coach for the part. Crouch is just latest example of the continuing trend of theatre writers moving across to TV. He remembers seeing the stage version of Fleabag at the Edinburgh Fringe Festival years before creator, writer and star Phoebe Waller-Bridge brought it to the small screen.